It was with the band known as “The Blue Ridge Mountain Entertainers”, however, that Tom did his first recordings. This band consisted of Tom Ashley, guitar; Clarence Green, fiddle; Gwen Foster, harmonica; Will Abernathy, autoharp and harmonica; and Walter David, lead guitar. Ashley did not record any solo records until he was a member of a group called “Byrd Moore and his Hot Shots.” This group consisted of Byrd Moore, finger style banjo or lead guitar; Clarence Greene, fiddle or guitar; and Clarence T. Ashley, guitar or banjo. In October, 1929, after the group had finished a recording session with Columbia, Ashley volunteered some “lassy-makin’ tunes,” one of which was “The Coo-Coo Bird.” The recording company was most impressed with Tom and later wired him to come to New York to make further recordings. They offered him a contract but his friends were not included. Ashley rejected the offer because he felt that they should take all of them or none of them. Tom’s son J.D. thinks that his dad might have become a famous recording star if he had accepted the offer of that contract. In 1925, Ashley met Dock Walsh at a fiddlers’ contest in Boone, North Carolina; and shortly after that, “The Carolina Tar Heels” was formed. 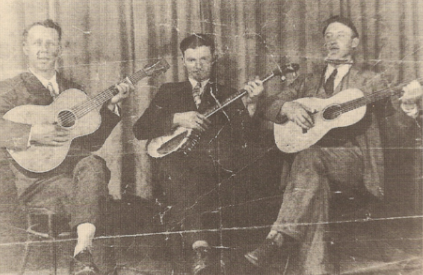 The group consisted of Tom Ashley, guitar and usually vocal lead; Dock Walsh, banjo and occasionally vocal lead; and Gwen or Garley Foster, second guitar and harmonica. The entire group recorded eighteen records with Victor in the late twenties and early thirties. In the early thirties, Ashley and Gwen Foster recorded for Vocalion. Gwen Foster was a musical genius in those days; however, he drank too heavily at times. Tom would laugh and tell about sobering him up on cider and moonshine before they went to play. After 1933, Ashley did not record again until 1960. There are two possible explanations for the abrupt ending of his recording career in the thirties. One explanation is that Ashley was the kind of man who would not take orders from anyone. He did not like the idea of having to follow the orders of the recording companies, therefore he quit. Another possible explanation is the great depression of the thirties. Recording companies, like many other businesses, were operating under grave financial circumstances. Many artists had to turn to other means of making a living. The song itself is what I would consider an example of Deep Craft. Though presumably written by an anonymous cobbler almost two hundred years ago, its message remains relevant, like an early 19th century version of Moore’s Law, and the song’s survival both transcends and acknowledges the passing from a craft-based to an industrial production paradigm. Yet it manages to romanticize neither. The origin of the word ‘toil’ has two Latin derivations. As a verb, it derives from ‘tudes’, to hammer; as a noun it derives from ‘tela’, a web. As illustrated by the song ‘Peg and Awl’, making things offers an opportunity to elevate the ‘toil’ of handwork into something more timeless, like a memorable song, which might outlive any of the practical products of artisanry (shoes?). The cadence of the song and collaborative exchange of its interlocking parts hints at a kind of pre-machine logic. The low-energy instrumentation and light-hearted delivery captures a comic ambivalence and reluctant enthusiasm for the dawning Industrial Revolution. More so than shoes, ‘Peg and Awl’ is the exalted product of tireless handwork, and sounds like its authors knew exactly what they were doing. The Carolina Tar Heels recorded their first sides on Feb. 19, 1927 for Ralph Peer on Victor Records. Atlanta was the first of three southern locations Peer brought his new portable recording system. The Tar Heels featured a cast of talented Country musicians revolving around three-finger banjo virtuoso Dock (Doctor Coble) Walsh. In 1925 Walsh made his first recordings for Columbia as a solo artist and formed the Carolina Tar Heels with harmonica wizard Gwen Foster and Tom Ashley. Ashley was not present at the first session so Foster played harmonica and guitar with Walsh playing banjo. Eventually Garley Foster (no relation) replaced Gwen Foster. Coincidentally both men played harmonica (French harp) and guitar. One of the unusual things about the Carolina Tar Heels was the absence of a fiddler, standard fare for most early string bands. Gwen Foster has been recognized as one of the finest harmonica players in early Country Music. His “Wilkes County Blues,” and the Tar Heel’s “Drunk Man Blues” or “My Sweet Farm Girl” showcase Fosters brilliant harmonica work. The career of Walsh was rivaled by band member Clarence (Tom) Ashley who would record solo (banjo and vocal) and with Gwen Foster, also with Byrd Moore and his Hot Shots, The Blue Ridge Entertainers and later in the 60s with Doc Watson, Clint Howard, Fred Price and Gaither Carlton. Ashley also played an important role introducing songs like “Rising Sun Blues (House of the Rising Sun),” “Little Sadie,” “Dark Holler,” and “Greenback Dollar.” A new CD is out entitled Greenback Dollar which chronicles Ashley’s recordings with different groups from 1928 to 1933. 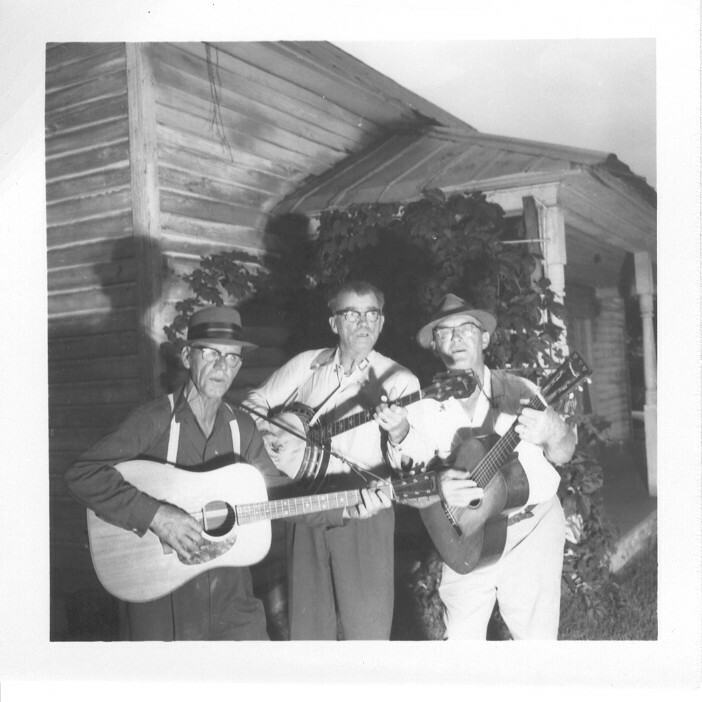 The Carolina Tar Heels featured a rotating group of four musicians from the North Carolina mountains: Dock Walsh (banjo and lead vocals); Gwen Foster (guitar, vocals and harmonica); Tom Ashley (banjo; guitar and lead vocals) and later Garley Foster (guitar, harmonica vocals) who replaced Gwen Foster (they are not related). Ralph Peer named the group (Walsh and Gwen Foster) at their first Victor session in Atlanta. According to some sources Walsh and Tom Ashley met at a fiddler’s convention in 1925. Later he asked Ashley to join the Tar Heels as a guitarist and singer (both vocal lead and harmony). The Carolina Tar Heels made 18 records (36 songs) in seven sessions for the Victor label (Feb. 19, 1927 in Atlanta; Aug. 11-14 1927 in Charlotte; Oct 10-14, 1928 in Atlanta; Nov. 14, 1928 in Atlanta; April 4, 1929 in Camden, NJ; Nov. 19, 1930 Memphis and lastly Feb. 25, 1932 in Atlanta). The last two sessions were made after the Great Depression (Oct. 1929) which was largely responsible putting an end to the recordings of The Carolina Tar Heels. Most groups folded in the early 1930s and looked for suitable work outside the music business. Ashley wasn’t present at the first sessions in 1927, which were made by Dock Walsh and Gwen Foster, or the last in 1932. Some of the songs recorded for Columbia by Walsh in 1925 and 1926 were recorded again for Victor with different titles (“Going Back to Jericho” became “Back To Mexico”) to avoid copyright infringement. Individual members of the group (Ashley with Byrd Moore and his Hot Shots and solo for Columbia at The Johnson City Sessions in 1929 and Gwen Foster with the Carolina Twins) would make records with different groups until the Ashley- Gwen Foster sessions for Vocalion in Sept. 1933. Now I remembered—from Ralph helping me paint my apartment—he had told me about Clarence Ashley. I went back to Ralph and I said, “Was Clarence Ashley one of the guys that you played for me?” and he said, “Yes.” And I said, “Well I think he’s down at the other end of the school.” Ralph’s jaw dropped, and he said, “Really?” and he went just tearing down to the end of the Union Grove school, and made a date with him immediately.